This years' Bilderberg conference is the big one. 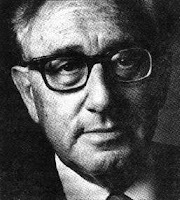 If Kissinger and the steering committee can convince the Turks, through threats and bribery, to go for the NeoCon 'regime change' agenda for Iran, we can expect a further Middle Eastern bloodbath and Islamic genocide. posted by TG @ 11:32 p.m.